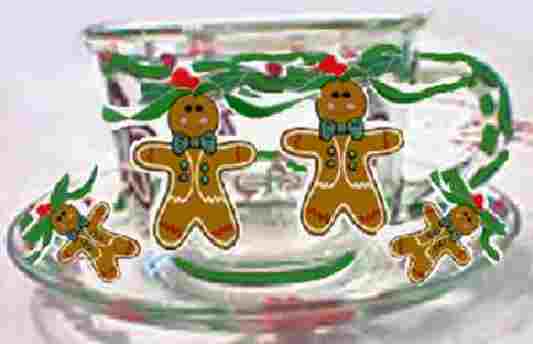 Beneath the strands of garland on gingerbread coffee cups and mugs festive Christmas gingerbread men are doing the gingerbread men dance! 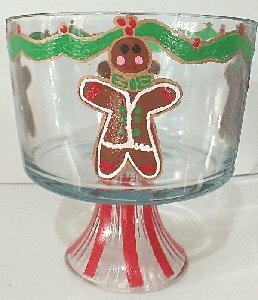 Leave one out for Santa as he will surely enjoy drinking coffee or hot chocolate from these hand painted gingerbread coffee cups and mugs. 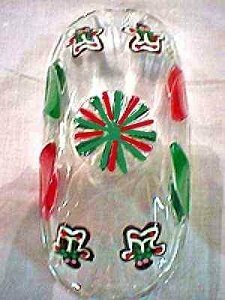 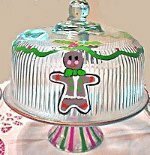 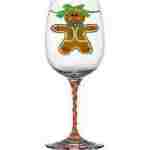 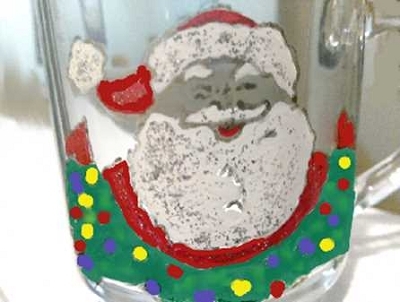 See our other Gingerbread pieces in wine glasses, dinnerware sets, cake plates and trifle bowls in the Related tab. 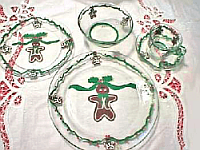 If ordering several products, place each product in cart separately.